AP Moller-Maersk, one of the affected entities globally, operates the Gateway Terminals India at JNPT. Operations at the terminal of the nation's largest container port Jawaharlal Nehru Port Trust (JNPT) were impacted Tuesday night as a fallout of the global ransomware attack, which crippled some central banks and many large corporations in Europe. "The (shipping) ministry has confirmed that one terminal at JNPT has been affected due to the attack at Maersk's Hague office," an official said, adding that the government will share a report or a statement, as soon as it comes, to this effect. "We have been informed that the operations at GTI have come to a standstill because their systems are down (due to the malware attack). They are trying to work manually," a senior JNPT official had told PTI on Tuesday night. Maritime conglomerate Maersk group confirmed that its operations were hit by the cyber attack. "We can confirm that on Tuesday, June 27, AP Moller-Maersk was hit as part of a cyber attack named Petya, affecting multiple sites and select business units," Maersk said in a tweet. It said, "We are responding to the situation to contain and limit the impact and uphold operations." The group is "assessing and managing" the situation to minimise the impact on its customers and partners. JNPT is trying to help the company, but there is little that others can do as the problem is with the systems. Fearing some clogging up of cargo, additional parking space is being made available, a JNPT official official said, promising to help in any possible manner. Foreign media reports from the Netherland quoting pubcaster RTV Rijnmond said a new ransomware virus called Petya has hit 17 APM terminals, including two in Rotterdam and 15 in other parts of the world. APM Terminals is a subsidiary of shipping giant Maersk, which has confirmed that it is suffering from a cyber attack. "We can confirm that Maersk's IT systems are down across multiple geographies and business units due to a cyber attack. We continue to assess the situation. The safety of our employees, our operation and our customers businesses is our top priority. We will update when we have more information," the spokesperson said in a written statement issued globally. The current attacks come weeks after the Wannacry ransomware attack, which affected systems of many companies. Firms that were hit include Russia's biggest oil company Rosneft, global advertising giant WPP Group and multiple institutions in Ukraine, including its central bank and an international airport. 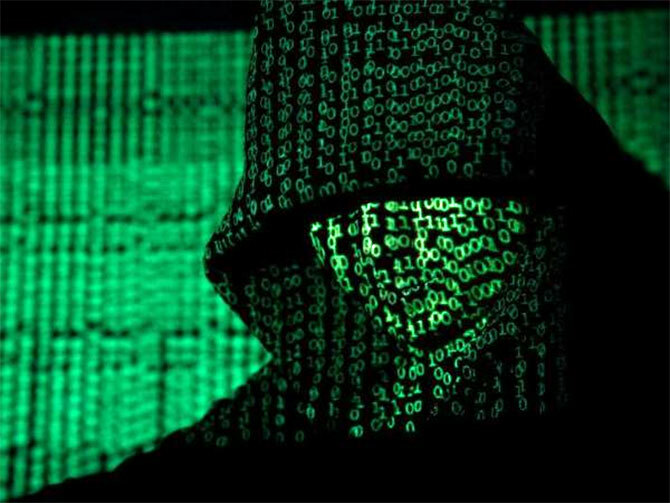 An AFP report quoting the Ukrainian central bank said a cyber attack hit several lenders in the ex-Soviet republic, hindering operations and leading the regulator to warn other financial institutions to tighten security measures. The Moscow-based cyber security firm Group IB traced the origin of the malware and the hackers to a code developed by the US National Security Agency (NSA) which was leaked and then used in the Wannacry ransomware attack that caused global disruption last month, according to an AFP report.